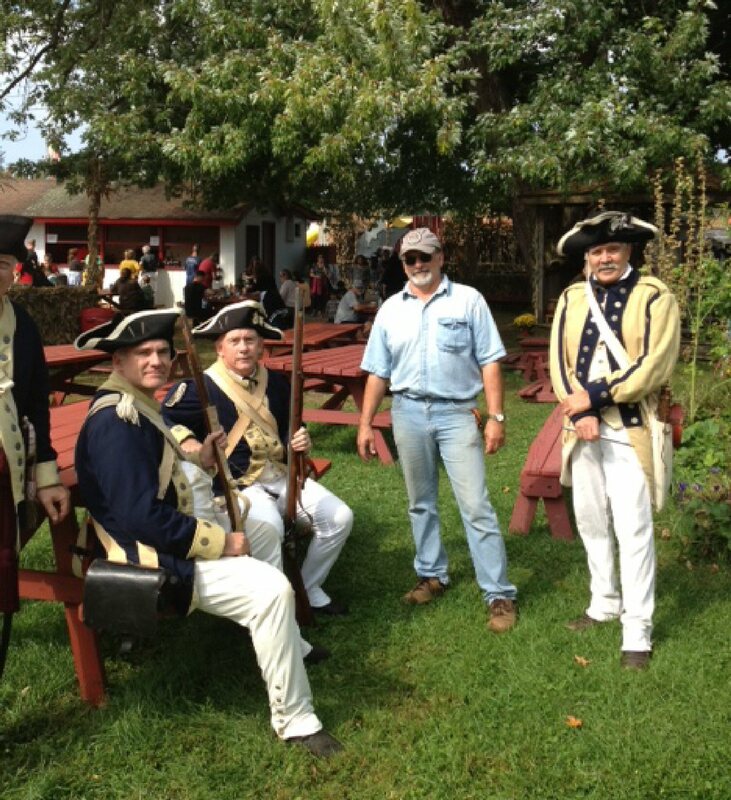 MEXICO – Continental Arms Collectors Association’s Revolutionary War Unit will encamp at Behling’s Orchard, Potter Road in Mexico on September 20, from noon to 3:30 p.m.
Pictured from left: Tim Crisafulli, Neal Smith, Eric Behling and Gary Slate. The group will exhibit tents and an open-fire kitchen. 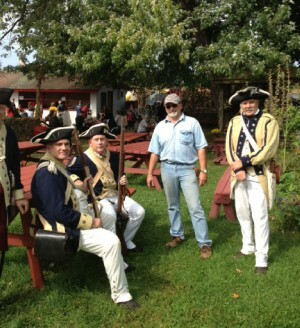 Interpreting a company from the First New York Regiment, Continental Army in 1782, they will perform 18th century military drills and music.